In addition to radiometrics, IP can be useful in targeting sediment hosted uranium mineralization. The Kintyre Uranium deposit is located 70 km south of Telfer, Western Australia. The deposit consists of massive pitchblende veins and minor disseminated pitchblende hosted by banded metachert. 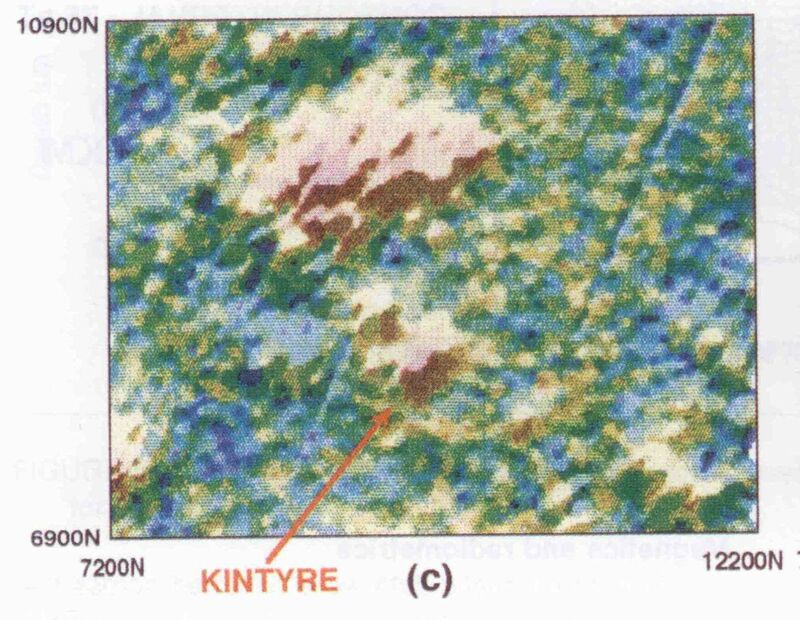 An airborne magnetic-radiometric survey detected elevated counts for K, U and Th at the Kintyre location. Profiles for three adjacent lines over the area clearly show the radiometric anomalies. 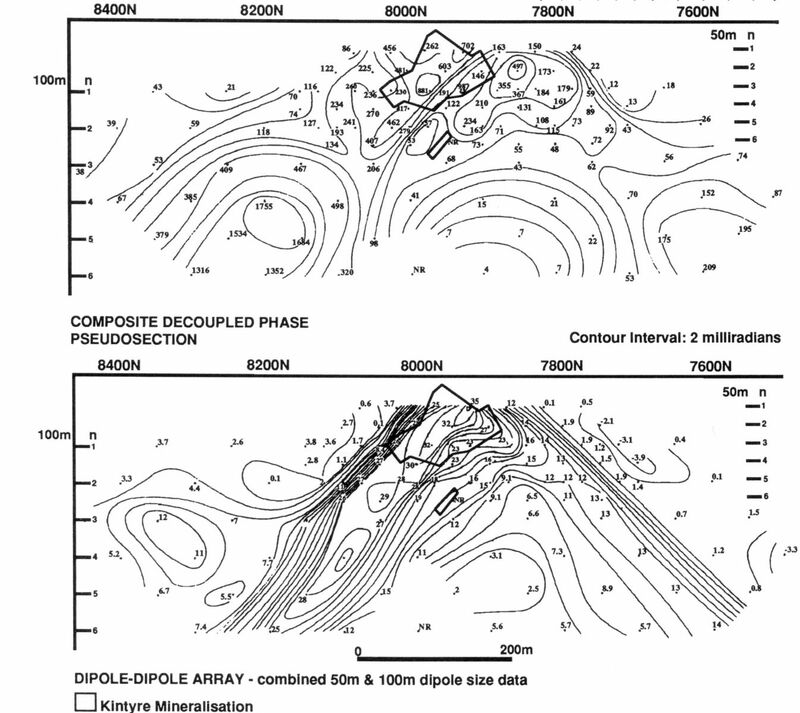 A ground IP survey detected resistivity and chargeability highs due to the disseminated sulphides in the chert associated with uranium.